Home RxTV Rx Rants PALUMBO: SHOW RONNIE RESPECT! Dave Palumbo delivers an impassioned defense of Ronnie Coleman, in light of assertions - from online commentators - as to why the 8 x Mr. Olympia is in the compromised physical condition he is currently in. Palumbo points to the sacrifices Coleman made to become arguably the greatest bodybuilder of all time, and how there are those that showed Ronnie respect in his good times, but are quick to jump on him when it serves their purpose. It's another #RXRant on RXMuscle.com, powered by RedCon1. 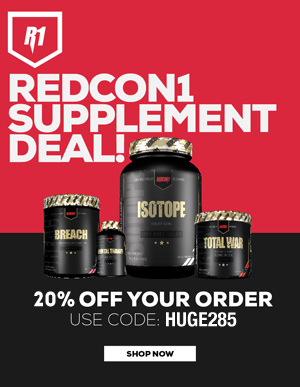 Shop RedCon1.com and save 20% using promo code HUGE285.